The Evergreen State College is committed, as a matter of principle and in accordance with applicable federal and state disabilities laws and regulations and the collective bargaining agreement, to providing reasonable accommodations for eligible individuals with documented disabilities in the most timely and effective manner possible. The College’s intent is to ensure that every employee (faculty, exempt staff, represented and non-represented classified staff) and/or applicant for employment who makes a request for accommodation under the Americans With Disabilities Act (ADA), the Rehabilitation Act of 1973, Section 504, Chapter 49.60 Revised Code Washington, and Washington Administrative Code 162-22 is promptly and properly advised of the accommodation process and reasonably accommodated. For represented, classified employees, The Evergreen State College will comply with provisions of Article 32, Reasonable Accommodation and Disability Separation, of the collective bargaining agreement, and with provisions of WAC 357-46 for non-represented classified employees. The College will not discriminate against qualified individuals with disabilities in college-supported activities and employment procedures and practices, including but not limited to, recruitment, application, hiring, promotion, testing, layoff/recall, assignments, termination, evaluation, compensation, disciplinary actions, leave, training, and other terms, conditions, and benefits of employment including insurance benefits and college-supported activities. The Evergreen State College has developed internal procedures for the implementation of the is policy , and the Associate Vice President for Human Resources Se rvices (AVP HRS) or his/her designee is the person designated by The Evergreen State College to respond to disability-related employment matters, including requests for reasonable accommodation under Title I of the ADA. The AVP HRS or his/her designee is a authorized to request, receive, and maintain confidential information regarding reasonable accommodation requests. All faculty and staff requests for disability accommodation are to be submitted in writing on the College’s Reasonable Accommodation Request Form — Employment accompanied by the appropriate supporting documentation for consideration and/or review. The review of the request may, at the discretion of the College, include an evaluation to determine the scope of the disability and, if appropriate, request for additional medical documentation, examinations and/or opinions. Individual With A Disability. For purposes of this policy, the term "disability" is used with the understanding that it has the same meaning as "handicap" in state and/or federal laws. Disability: The presence of any sensory, mental or physical disability. A condition is a "sensory, mental, or physical disability" if it is an abnormality and is a reason why the person having the condition did not get or keep the job in question, or was denied equal pay for equal work, or was discriminated against in other terms and conditions of employment, or was denied equal treatment in other areas covered by the statutes. In other words, a person will be considered disabled by a sensory, mental, or physical condition if he or she is discriminated against because of the condition and the condition is abnormal. Able Worker with a Disability: A person whose disability does not prevent the proper performance, with or without reasonable accommodation, of the particular job in question. Health Care Professional: A person whose license to practice includes diagnosis and assessment of the particular disability for which she or he issues a health care opinion. Major Life Activities. These are activities such as, but not limited to, caring for one's self, performing manual tasks, sitting, standing, lifting, reading, walking, seeing, hearing, speaking, breathing, learning, and working. Qualified Individual With A Disability. An individual with a disability who meets the requisite skill, experience, education and/or training, and other job-related requirements for the position that the person occupies or seeks, and who can perform the essential functions of the job, with or without reasonable accommodation. Undue Hardship. An undue hardship is an action that requires significant difficulty or expense in relation to the department/college, employer, the resources available, and the nature of the operation. It includes actions that are unduly costly, extensive, substantial, or disruptive or those that would fundamentally alter the nature or operation of the college. Are employees in the position actually required to perform the duty or function? Does the position exist to perform the duty? Would removing the duty of function fundamentally change the job? Are there a limited number of other employees available to perform the duty or function, or among whom the function can be distributed? Is the duty or function highly specialized, and the person in the position is or was hired for the special expertise or ability to perform the function? Associate Vice President for Human Resource Services (AVP HRS). The AVP HRS or his/her designee is the person designated by The Evergreen State College to respond to disability-related employment matters, including requests for reasonable accommodation. The AVP HRS or his/her designee assists supervisors, managers, employees and applicants with review of and response to employment related disability accommodation requests. The AVP HRS or his/her designee is authorized to request, receive, and maintain confidential information regarding reasonable accommodation requests. The Evergreen State College will provide reasonable accommodation to the known physical, mental or sensory limitations of an otherwise qualified individual with a disability. The disability accommodation in employment process applies to all aspects of employment, and is designed to help qualified individuals with disability conditions to obtain or remain in their positions, with or without accommodation. The duty to provide reasonable accommodation is ongoing, may arise any time that a person's disability or job changes, is interactive with the employee or job applicant, and is determined on a case-by-case basis. Generally, it is the obligation of an individual with a disability to provide timely notice and/or documentation on the nature and extent of the disability and, if known, the accommodations needed. The Evergreen State College may also require the individual to provide such additional documentation on the nature and extent of the disability as may be necessary to determine appropriate accommodations. This may include but is not limited to documentation provided by a licensed health care professional which describes the covered disability(ices) and any limitations caused by the disability. Reasonable accommodation will be provided in every stage of the recruitment, application and selection process to enable a qualified individual with a disability to have an equal opportunity for employment. Notification of the right of an applicant to make an accommodation request and information on how to initiate such a request will be included with all announcements, employment bulletins and recruitment efforts. Qualification standards, employment tests, or other selection criteria must not screen out or tend to screen out an individual with a disability unless they are job-related and directly related to the essential functions of the position. Employment tests will be used in the most effective manner to measure actual abilities, skills, and/or job-related other factors. Standards, tests and criteria shall be reviewed by the appropriate hiring authority or his/her designee, the search committee chair, and the Associate Vice President for Human Resource Services or his/her designee prior to their implementation to ensure that they are job-related and necessary. Medical information regarding the presence or nature of an employee's disability or applicant's accommodation request is considered a confidential medical record, and must be solicited and received by Human Resource Services. Individuals are not required to reveal the medical details of their medical diagnosis or treatment to his/her supervisor or manager when making a request; however, some individuals may voluntarily choose to disclose this information. While some individuals may voluntarily share medical information, the supervisor and/or the appointing authority must treat the information as confidential. Human Resource Services will provide only information about necessary restrictions and accommodation to the dean, manager and supervisor. All medical information and the completed Reasonable Accommodation Request Form - Employment will be kept by Human Resource Services as confidential medical records, and will be maintained in a secure manner, apart from personnel or recruitment files. Access to the confidential medical file is restricted to Human Resource Services staff and, when there is a legitimate business related reason or purpose, the appropriate Vice President. The AVP HRS or his/her designee, the Civil Rights Officer, and the Special Assistants to the President for Diversity Affairs, in consultation with other interested parties, shall design and implement an education program addressing disabilities in the workplace, the responsibilities and rights of the college community as outlined in this policy and the collective bargaining agreement, and the procedures involved in the implementation of the policy. Information on reasonable accommodation, this policy, the college's Affirmative Action and Non-Discrimination Policy, and the internal and external enforcement mechanisms and remedies available shall be provided to each new employee as part of the new employee information packet, new employee orientation, education on disabilities in the workplace, and through other appropriate methods. In addition, Article 32, Reasonable Accommodation and Disability Separation, of the collective bargaining agreement will be provided to represented classified staff. Staff involved in providing information about job openings and the application process shall be given training on the college's process for providing reasonable accommodation. This includes, but is not limited to human resources staff, deans, supervisors, managers, and search committees. The Evergreen State College will make a good faith effort to provide reasonable accommodation unless to do so would cause an undue hardship. If a particular accommodation would impose undue hardship, the College will explore options of alternative accommodations that would not impose such a hardship. If the cost of an accommodation would impose an undue hardship, the individual with a disability will be given the option of providing the accommodation or paying that portion of the cost which would constitute an undue hardship. The Evergreen State College is not required to provide an accommodation that will have the effect of eliminating an essential function or duty of the job or to provide an accommodation or service that is personal in nature, such as a hearing aid, eye glasses, medicines/ prescriptions or personal care attendant. Furthermore, the College is not required to lower performance, production or conduct standards, or alter attendance requirements expected of all faculty and staff. The responsibility for funding the cost of a reasonable accommodation rests with the appointing authority or the employee’s work unit/department. Should the department demonstrate that funds do not exist, the department director should then refer the request for funding to the appropriate Vice President. A qualified individual with a disability has the right to refuse an accommodation. However, any individual with a disability who cannot perform the essential functions of the job either with or without the accommodation will not be considered to be an otherwise qualified individual with a disability. An employee may be separated from employment with the institution when the College determines (supported by medical information) that the employee is unable to perform the essential functions of the employee’s position due to mental, sensory or physical disability, which cannot be reasonably accommodated, or when the employee indicates that s/he does not wish to pursue accommodation and would like to be separated from employment due to disability. Reasonable accommodation will be made available in every stage of the recruitment, application and selection process and during employment to enable a qualified individual with a disability to have an equal opportunity for employment. Notification of the right to submit an accommodation request and information on how to initiate such a request will be included with all announcements, employment bulletins and recruitment efforts, during new employee orientation, as part of education on disabilities in the workplace, and through other appropriate methods. Generally, it is the responsibility of an individual with a disability to initiate a request for accommodation. To make an accommodation request, an individual completes and submits the Reasonable Accommodation Request Form - Employment form according to the form’s instructions, to their supervisor or to the AVP HRS or his/her designee. Any individual who has questions about the accommodation request form should contact Human Resource Services. Copies of the form are available on Evergreen’s website at http://www.evergreen.edu/employment/forms.htm and from Human Resource Services. The process for determining reasonable accommodation is interactive, involving Human Resource Services, the supervisor, manager or dean, the employee or applicant, and other appropriate individuals as needed. Each accommodation request will be evaluated individually, taking into consideration the employee's or applicant's abilities and limitations due to disability; the essential duties or functions of the position, application procedure or other activity for which accommodation is being requested; and the reasonableness of the proposed accommodation. The college shall make every effort to respond in a timely manner to a request for accommodation. Applicants needing accommodation in the application process shall notify Human Resource Services (HRS), 2700 Evergreen Parkway NW, Olympia, Washington, or by telephone at 360.867.5361 or 360.867.6695 (TYY) or 360.867.6823 (fax) or by email at www.jobline@evergreen.edu . Human Resource Services will work with the job applicant to document his/her specific physical or mental abilities and limitations as they relate to the application process, to identify the barriers to the applicant, assess whether an accommodation can overcome these barriers, and provide reasonable accommodation. In some situations, additional documentation may be required to assess the applicant’s request. It is the applicant's responsibility to ensure that Human Resource Services has the required information. Applicants may not be asked questions that are likely to elicit information about or that are closely related to a disability, including whether an applicant has a particular disability. However, applicants may be asked whether they can perform any or all job functions, including whether applicants can perform job functions with or without reasonable accommodation. Applicants may not be asked whether they will need reasonable accommodation to perform the functions of the job, but may be asked to describe or demonstrate how they would perform the job, as long as all applicants are asked to do this. However, if an applicant has a known disability, either because it is obvious or because the applicant has voluntarily disclosed a hidden disability, he/she may be asked to describe or demonstrate how he/she would perform the job duties or functions, even if other applicants have not been asked to do so. If there are two or more accommodations that would allow the individual with a disability to participate in the application/testing/interview process, the college will consider the preference of the individual with a disability, with the College making the decision on what accommodation will be provided. Qualified applicants will not be denied employment on the basis of a need to provide a reasonable accommodation. Applicants who have received conditional or tentative job offers shall make accommodation requests using the College’s Reasonable Accommodation Request Form-Employment. If an applicant who receives a conditional or tentative job offer cannot perform an essential function of the position with or without reasonable accommodation, and the essential function is job-related and consistent with business necessity, the offer must be rescinded. It is the responsibility of the employee to inform the dean, supervisor or manager of the position that an accommodation is needed in order to perform the essential functions or to receive equal benefits and privileges of employment. The employee also has the option of working directly with Human Resource Services. The dean, supervisor or manager or the AVP HRS or his/her designee shall direct the employee to submit their request in writing using theCollege’s Reasonable Accommodation Request Form- Employment communicating the need for accommodation, identifying the nature and extent of the accommodation (if known), and the job function or duties the accommodation addresses. An employee is not required to disclose medical information to his/her immediate supervisor when making the initial request. Once completed, the employee submits the Reasonable Accommodation Request Form — Employment to the AVP HRS or his/her designee. In considering whether to honor or deny the request, the dean, supervisor or manager must first meet with and discuss the request with the AVP HRS or his/her designee. The AVP HRS or his/her designee, in cooperation with the dean, supervisor or manager, shall consult with the employee to identify his/her specific physical or mental abilities and limitations as they relate to the essential job duties or functions, to identify the barriers to job performance, and to assess how an accommodation can overcome these barriers. It is the employee’s responsibility to fully engage in this interactive process. The AVP HRS or his/her designee will ask the employee, and may consult with other knowledgeable sources, about possible accommodations. If the request does not involve significant issues or expenses, the AVP HRS or his/her designee will work with the dean, supervisor or manager to implement the request. If the disability accommodation request involves issues or expenses that are significant, the AVP HRS or his/her designee shall assist the dean, supervisor and manager in obtaining additional relevant information. The AVP HRS or his/her designee may request the employee to provide verification from a licensed health care professional that s/he has the disability as claimed and that it has the effect of necessitating the accommodation requested. The college may obtain, at its own expense, an additional opinion from an independent medical examiner (IME) of its choice. IME examinations will be limited to verification of the employee's limitations. The College may also request that the IME also include effective options for accommodation. If there are two or more accommodations that would allow an employee to perform essential job functions or otherwise enjoy equal employment opportunity, the college will consider the preference of the individual with a disability; however, the College makes the final determination or selection of what accommodation will be provided. Once the accommodation(s) has been selected, the AVP HRS or his/her designee, in cooperation with the supervisor, manager or dean will document the nature and extent of the accommodation using the Reasonable Accommodation Request Form- Employment and, if appropriate, identify a timetable for review. The AVP HRS or his/her designee and the supervisor, manager or dean will meet with the employee to discuss the written accommodation plan. The accommodation plan should be considered a work in progress, because the nature and extent of accommodation may change with time. Supervisors, managers and deans shall not, for any reason, deny a request for disability accommodation. A finding that no reasonable accommodation can be provided will be forwarded by the AVP HRS or his/her designee to the vice president of the employee's organizational division. The vice president, in consultation with the AVP HRS or his/her designee, the dean, and the supervisor or manager shall review the recommendation and issue a final written determination. If an accommodation in an employee's present position is not reasonable, or would cause an undue hardship, The Evergreen State College will explore options for reassignment to a vacant position(s) within the College, at the same pay range or lower, for which the employee is qualified. The employee has the option to accept reassignment to the vacant position. If the employee declines reassignment to a vacant position, and there are no other accommodation options available, the College will work with the employee to process a disability separation. The college will also, within practical limitations of its ability, assist the employee in identifying and applying for vacant positions, for which s/he is qualified, within other institutions and/or agencies. The employee is responsible for providing current information showing skills, abilities, training, and experience; identifying the types of jobs s/he is interested in and qualified for; applying for vacant positions; and advising the Human Resource Services Office of any change of address. Human Resource Services is responsible for informing the employee of these responsibilities. An employee may be separated from employment with the institution when the College determines that the employee is unable to perform the essential functions of the employee’s position due to mental, sensory, or physical disability, which cannot be reasonably accommodated, or when the employee indicates that s/he does not wish to pursue accommodation and would like to be separated from employment due to disability. A disability separation is not a disciplinary action. 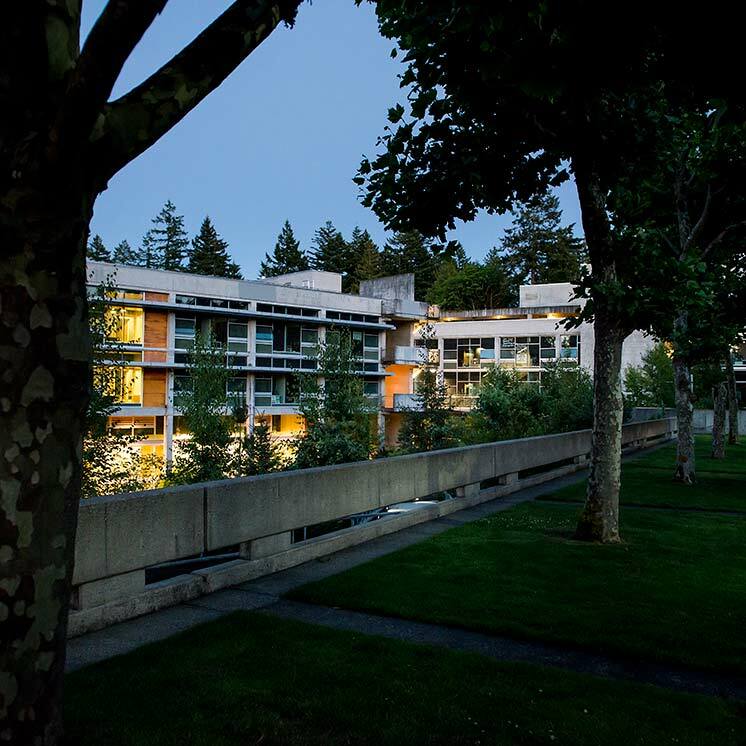 The Evergreen State College will comply with provisions of Article 32, Reasonable Accommodation and Disability Separation, of the collective bargaining agreement for represented, classified staff; and WAC 357-46 for non-represented classified employees. The college has established internal procedures for any employee or applicant who believes that they have been discriminated against based on disability related to requests for accommodations in employment.